In her article, Dr. Borba says parents should nurture gifted children instead of pushing them. She underscores the importance of following a gifted child’s lead, not the parent’s. She says that truly gifted kids are endlessly curious, love to experiment and will always be on the lookout for something that would interest them. The moment they find what stimulates them, parents would do well to allow them to stick with whatever fascinates them, whether it’s a piano or a piece of rock he or she found in the backyard. 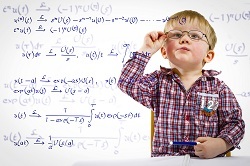 Following the child’s interest is one of the best ways to nurture gifted children. Do the opposite and you’d be pushing them to focus on what you want from them. In short, you’d be pushing your child to focus on your interests, not theirs. If your idea of motivating your gifted child is with flash cards, Dr. Borba also expresses disdain for them. She says flash cards and other similar learning tools are parent-driven ways of instilling academic achievement, not child-directed ways to expand intellect. For gifted children, the world is their classroom, and they need to experience that world. If you observe your child showing an interest in taking apart old electronic gadgets, for example, waste no time in offering similar activities, not those repetitive and boring flash cards. Dr. Borba also stresses out how important it is to always talk with your gifted child. Your being there for them is already a great way of motivating your gifted child. Moreover, be prepared to answer questions, because highly gifted children are given to asking all sorts of queries over and over again. In the end, Dr. Borba compares gifted children—and all children for that matter—to a rubber band that needs to be gently stretched without breaking. I could never agree more. While motivating your gifted child is still essential, pushing your gifted child too hard in order to get the results we want is completely unnecessary. Should they feel the need to stretch their gifts even further, we should all just stand back and let them do it themselves. The results, more often than not, will almost always be amazing. This entry was posted on Monday, January 19th, 2015 at 10:17 am	and is filed under Commentary. You can follow any responses to this entry through the RSS 2.0 feed. You can skip to the end and leave a response. Pinging is currently not allowed.